Explore planetary surfaces by crafting Exocraft vehicles in No Man's Sky NEXT. 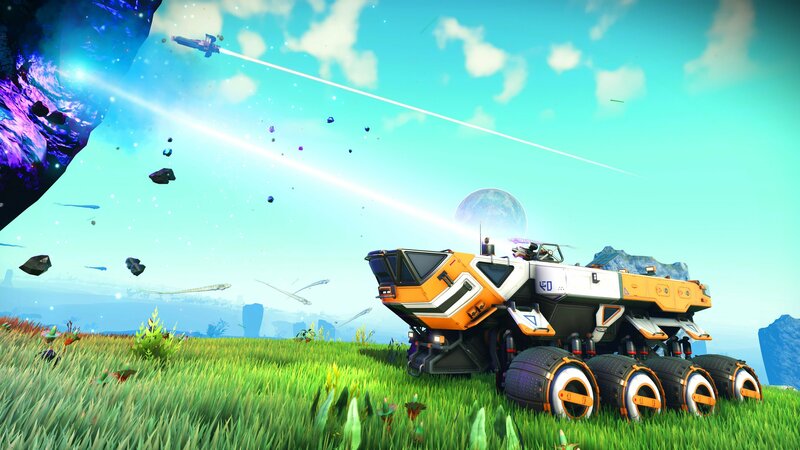 In No Man’s Sky NEXT, one question players have been asking is how to get a vehicle. In contrast to Starships and Freighters, Exocraft vehicles act like cars and can be used to quickly traverse various planetary surfaces. Originally introduced in the Pathfinder update, Exocraft vehicles are available to all players in No Man’s Sky NEXT so long as they have the necessary blueprint and crafting materials. To help get you up-to-speed, we’ve put together a quick guide on how to get an Exocraft vehicle in No Man’s Sky NEXT. To easily traverse planetary surfaces, you can build Exocraft vehicles in No Man's Sky NEXT. To get an Exocraft vehicle in No Man’s Sky NEXT, you’ll need to first return to base, then locate the Specialist Terminal crafting menu. In this menu, interact with the “Exocraft Terminal” option. Once your Exocraft Terminal has been placed, interact with the new message that pops up informing you that you need an operating technician. To acquire a technician for your Exocraft Terminal, head to a nearby space station and interact with the NPCs on board to track down a technician for hire. With your technician successfully hired, return to base and interact the technician to receive an Exocraft Blueprint. In No Man’s Sky NEXT, vehicles are known as Exocraft. There are three types of Exocraft in No Man's Sky NEXT including Nomad, Roamer, and Colossus. Nomad: Light, fast, and agile. Fewer inventory slots than Roamer or Colossus. Capable of gliding over water. Can be upgraded using a Signal Booster, Mining Laser, and Mounted Cannon. Has an Exocraft Acceleration Module pre-built. Roamer: Mid-range, all-around Exocraft. Capable of crossing rugged terrain. Can be upgraded using a Signal Booster, Mining Laser, Acceleration Module, and Mounted Cannon. Colossus: Largest Exocraft, has more inventory space than Nomad and Roamer. Can be upgraded using a Signal Booster, Mining Laser, and Mounted Cannon. Has an Exocraft Mining Laser pre-built. In addition to exploring planetary surfaces and transporting resources, Exocraft can be used to race. 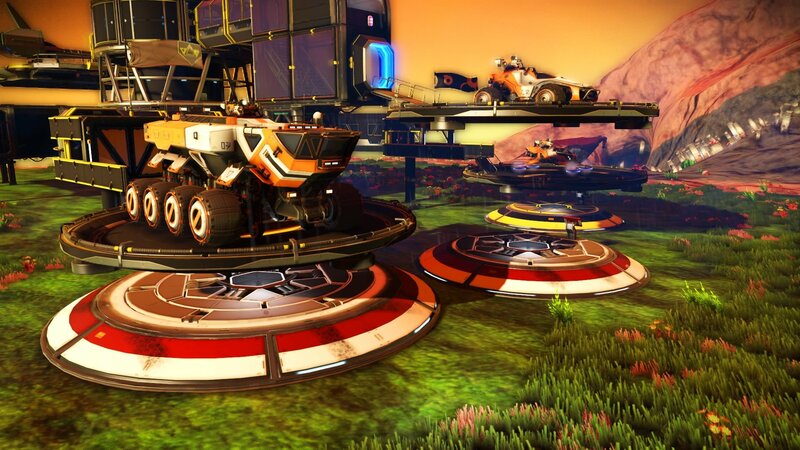 To race your Exocraft in No Man’s Sky NEXT, you’ll need to build a Racetrack. To craft a Racetrack, start by building a Race Initiator by opening up your Exocraft menu and construct the Race Initiator (200 Heridium, 2 Voltaic Cells, 10 Non-Ferrous Plate). While racing Exocraft is undoubtedly fun, Exocraft are extremely useful tools for farming materials and exploring new planets in No Man’s Sky NEXT. For more on No Man’s Sky NEXT, be sure to check out some of our previous guides including how to build and use a Portable Refiner in No Man’s Sky NEXT, how to get Antimatter in No Man’s Sky NEXT, and how to get a Freighter in No Man’s Sky NEXT. By reading through this guide, you should now know how to get a vehicle (Exocraft) in No Man’s Sky NEXT.